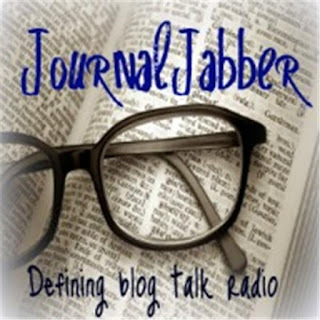 During a formatting conversation with Amy Eye, of The Eyes for Editing, for my novel "Eleven Sundays," she casually slipped in an invite to do her show Journal Jabber on blogtalkradio. Her enthusiasm and confidence travelled the phone waves and I said yes, okay. Since this was months previous to the show, I didn't think of it as something that would really happen. Writers spend a lot of time alone, my voice is pretty rusty these days--so I tried not to think about it. Then a couple of nights before the show I realized, yes, it was real. Amy talked with me the day of the show and I felt pretty safe with her and if I had any brain cramps she would swoop in and save me. An hour before we were to go on, I got an email from Amy giving me the heads up that bad weather had struck her area and a tornado could be in her future. We both have theatre backgrounds--the show must go on. She called in Frank Smith and Angela Yuriko Smith to co-host. I reined in my first-interview nerves and on we went. I rambled a bit, the interview zoomed by, and I actually enjoyed myself! Thanks to Amy, Angela, and Frank. Any listeners familiar with me from my acting days... I don't have an English accent. Thanks for listening and I hope you'll take the time to read the blurb on Eleven Sundays. While listening to the interview you might want to visit my Facebook page and check-out my "City photo-notes & Seashore photo-notes" in the photos/album section. These images helped to fuel my story.